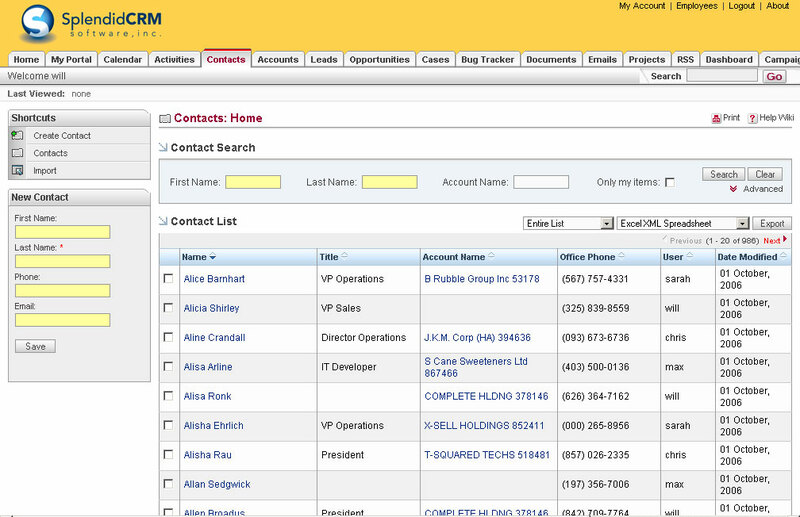 SugarCRM: A complete CRM system for businesses of all sizes. Core CRM functionality includes sales automation, marketing campaigns, support cases, email, calendaring and more. 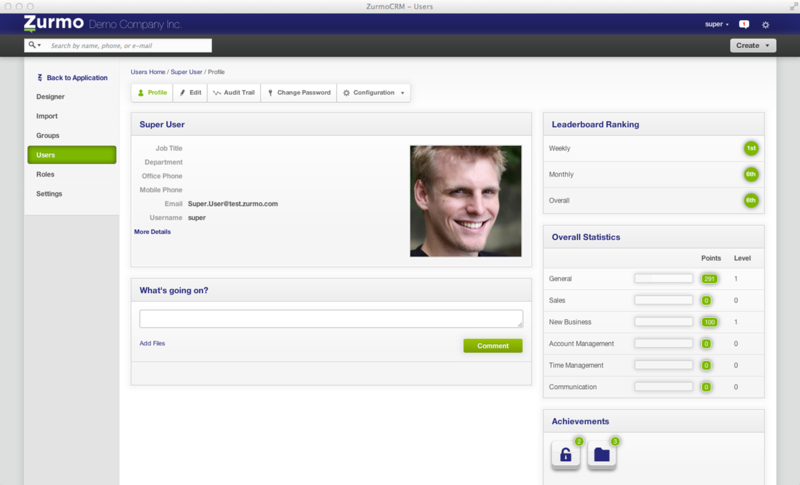 Developers can easily extend the application with new CRM functionality unique to your business. Built in PHP supports MySQL and SQL Server. vTiger: Vtiger CRM enables sales, support, and marketing teams to organize and collaborate to measurably improve customer experiences and business outcomes. Vtiger CRM also includes email, inventory, project management, and other tools, providing a complete the business management suite. SplendidCRM: SplendidCRM was specifically designed for users of all versions of Microsoft Windows. The CRM has all the core features expected in a modern CRM including sales automation, email campaigns, product support and calendaring. xTuple CRM: It is MOBILE CRM which helps small- and mid-size companies manage and improve the myriad ways they interact with customers, prospects, vendors, partners and any other corporate entity with which a business relationship is shared. Concursive: The four major modules in ConcourseSuite are CRM, Web, Content and Team (which deals with collaboration), and they can be deployed individually or as an integrated suite in either Software as a Service (SaaS) or on-premise versions. 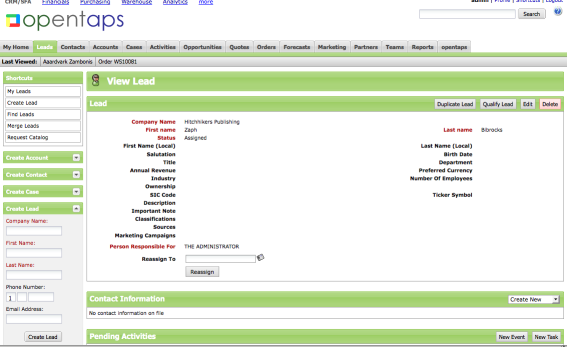 Opentaps: ERP and CRM suite, including eCommerce, inventory, warehouse, order, customer management, general ledger, MRP, POS. Database independent service-oriented architecture (SOA). 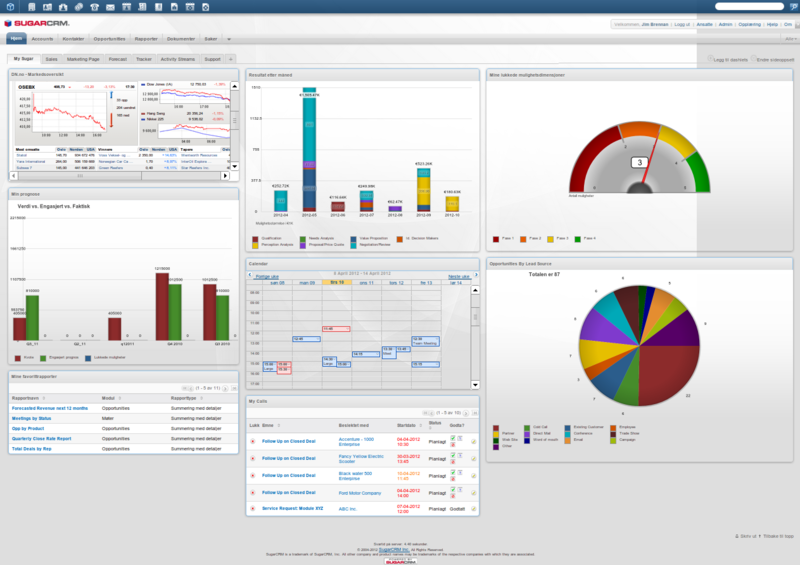 CentraView: CentraView – Browser based Enterprise Java (J2EE) Contact Management, Groupware, Collaboration, CRM, SFA, Project Management software. Run locally or as a hosted service. Built on Apache Tomcat, JBoss, MySQL, Linux (Fedora, RedHat and others) & Windows. 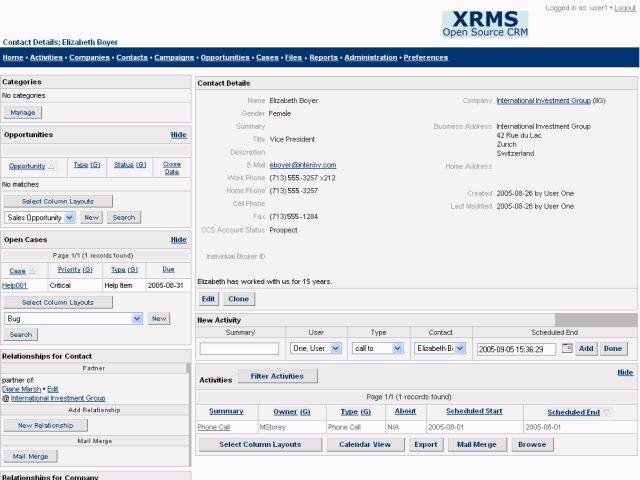 XRMS: It is feature rich open source customer relationship management (CRM), Sales Force Automation (SFA) suite: also features business intelligence (BI) tools, Computer Telephony Integration (CTI), and advanced plugin architecture. PHP/ADOdb/LAMP. CiviCRM: CiviCRM is designed to manage information about an organization’s donors, members, event registrants, subscribers, grant application seekers and funders, and case contacts. Zurmo: It is an application that is mobile, social, and gamified. This means you can create and maintain a custom-built CRM system or platform with the assurance that future updates are not going to break your installation. BlackBerry 10 OS: Can It Win Back the Lost Ground!